Emerald Skyline’s repurposing of our commercial building located in Boca Raton, FL is progressing and changing as we go through the development process. We have concluded the Planning Advisory Review and are now working on the Site Plan Application. As with any project, basic requirements must be met. These may include zoning, future land use designation, and city codes. One city code we were hoping to get an exception for is the Floor Area Ratio (FAR). 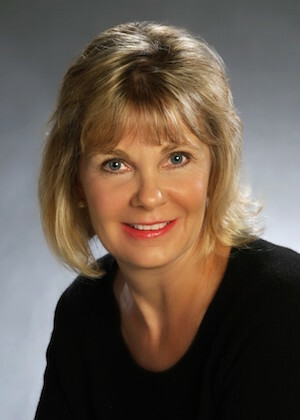 The FAR is governed by the zoning district regulations applicable to each property. Based on our property’s zoning our “floor area ratio” – the floor area of our building divided by the lot area in square feet, cannot exceed 0.4. Since our project is registered as a LEED project we were hopeful that an exception to the 0.4 FAR could be made. The response regarding this issue during the Planning Advisory Review is that according to City Code, no variance may be granted which has the effect of increasing the intensity/FAR on a plot or parcel. The adherence to the required FAR has presented us with design challenges resulting in both positive and negative impacts for the project. The property on which our building is located and it’s required setbacks is not large enough to accommodate any outward (horizontal) added square footage. Therefore, our option to increase the building size is by building up (vertical). This requires that a structural engineer is engaged to beef up the existing foundation and wall structure under the new space to ensure that it can support the added weight. With the addition of a second story, a stairwell has to be utilized which will use some of our already limited square footage. We have also decided to include an elevator which impacts the design and available square footage of the building. The height restrictions of 30’ based on the zoning district does not impact the addition of a second floor including the elevator shaft. The elevator component is a key design element to the exterior elevations. The FAR of 0.4 has required us to significantly reduce the size of the second floor addition than we originally designed and wanted. This has impacted the layout of both floors and require that we re-think what is important to be included and where. As designers we have learned that what initially is perceived as negative impacts can actually lead to a better designed project. The second floor is now smaller but the green terrace is larger. This allows for more roof top vegetation and promotes a peaceful, connected to the environment space for the occupants. For more in-depth information on the benefits of a green roof please see Kendall Gillens’s post from last month’s newsletter “Vegetation is Not Solely for Landscape: The Benefits of a Green Roof”. We are now preparing the drawings and documentation for the Site Plan Application. The site plan requires many issues to be addressed; parking, ingress and egress, landscaping, exterior lighting, ADA requirements, water and sewer, fire and life safety, etc. One of requirements of the site plan is to provide the design of the dumpster enclosures and their location on the property. Our property has very limited space which must accommodate many different elements to meet codes. The project is LEED registered with the intent to obtain the highest level of LEED certification that is possible. Sustainable design and LEED certification should positively impact all phases of a building including its design, construction and operation. We are proposing our building will be a zero waste facility in which no trash is sent to landfills or incinerators. Our goal is to send no garbage to the landfill. We will utilize new avenues for any waste and think creatively in terms of reducing, reusing and recycling. An example of this initiative will be the creation of an organic garden located at the rear of the building to process and compost organic materials to create a product that can be used to enrich the soil. Additionally, we will send materials that can be repurposed to innovative companies that will use the waste to create new products. We also plan to install portable carts with several recycling receptacles to facilitate the collection and sorting of waste materials. Our company will transport the recyclables to the recycling facilities. No commercial waste hauling will be contracted and there will be no dumpsters on the property. We will pursue a dumpster deviation request from the City of Boca Raton and a Zero Waste Facility Certification. This is a third-party certification and we will need to meet all of its requirements. One requirement which is important is that our policy meets all federal, state, and local solid waste and recycling regulations. A zero waste facility will meet criteria to earn points toward LEED certification. Our site plan will also contain a bicycle rack, an electric charging station for cars and pervious pavement rather than asphalt. For more information on pervious pavements please see our post “Exploring Permeable Pavement Options for LEED Projects”. Inspired by the Zero Waste business community, the U.S. 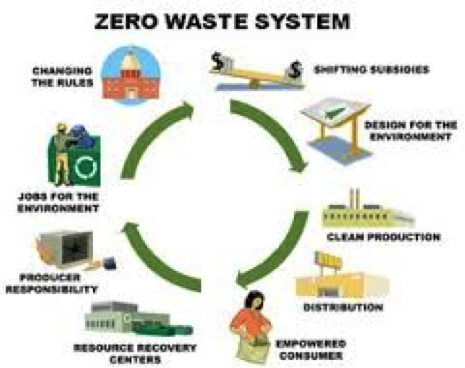 Zero Waste Business Council and its Certification Development Committee have created the first third-party Zero Waste Business Certification program for facilities that meets the Zero Waste Principles of the Zero Waste International Alliance (ZWIA). Our facility certification program goes beyond diversion numbers and focuses on the upstream policies and practices that make Zero Waste successful in an organization. We have crafted the facility certification to meet the requests of Zero Waste Businesses for a valid, comprehensive verification of their Zero Waste achievements.